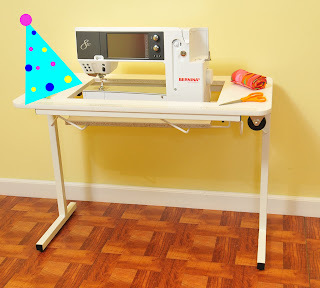 Arrow Sewing Cabinets: Our Tuesday Gidget Winner! It's time to announce the winner of our Tuesday Gidget, have you got those fingers and toes crossed? Our winner is Mary Bowlin from Batesville, MS! Congrats Mary! We'll be emailing you shortly! If you didn't win, you'll have a chance every day this week, so make sure you check in with us. Good Luck everyone! Congrats,Mary. Now u can send me ur old one.!!!!! :), :). woohoo for the winners so far!! Way to go, Mary! Fingers crossed here for to,or row! A big congrats to Mary. You will love it! Congratulations, Mary. I have been bitten by the green-eyed (jealous) monster! Enjoy your Gidget! Congratulations Mary. What a fabulous win. You spelled my name wrong LOL! Congratulations, Mary. Congrats Mary! I saw Batesville, MS and smiled. I lived there for about three years when I was a kid. Enjoy!